If you want the practicality and affordability of a compact car with the looks of a high-end sports car, the Mazda3 is your best bet. Ever since the redesign a couple of years ago, this stylish compact has been turning heads everywhere it goes. If you always wanted to own a beautiful car, you don't need to buy a high-end luxury sports car. Take a look at the Mazda3. To complement its style, it also has available 18-inch wheels with a sporty design. The rear decklid spoiler is also standard. The spoiler looks great and improves aerodynamics. The standard LED headlights are more visible and energy-efficient than traditional headlights. This means that they last longer and help you have a safer driving experience. See the new Mazda3 in person at the Ourisman Mazda dealership in Laurel today. The interior of the Mazda3 has a lot to live up to given the beauty of the exterior. However, just a quick glimpse of the interior will show you that you won't be disappointed. The interior of the Mazda3 has been widely praised for being one of the best-looking interiors in its class. It also has luxurious touches, including available leather seats that are soft to the touch. The rear seats of the Mazda3 feature a standard split-folding design that will allow you to maximize in Mazda3's already impressive cargo space. Not only is the cargo space impressive, the passengers have plenty of space too. In fact, the passenger volume of the Mazda3 is 96. 3 cubic feet. This is right up there near the top of the class. Experience the stylish interior of the new Mazda3 by taking a test drive at Ourisman Mazda in Laurel today. Mazda has been pursuing a relentless dedication to safety in all their new models. The Mazda3 shows clear evidence of this. The standard rear-view camera will help you avoid the most common collisions, especially in parking lots. The standard Smart City Brake Support feature will help you avoid low-speed rear-end accidents in city traffic, another very common accident situation. It works from 2 MPH to 18 MPH, which are the speeds that heavy traffic usually moves at. The Mazda3 even has standard Hill Launch Assist. It can be difficult to simply drive off in a car that is on a steep slope. The car might start to roll forward or backward before you can get going. This innovative future prevents this dangerous situation. If you're in Glen Burnie, MD Columbia, MD or elsewhere in the Laurel, MD area, come to Ourisman Mazda in Laurel today and test-drive the safe 2018 Mazda3. Mazda has long been known for making the most fun to drive models that regular people can actually afford. The new Mazda3 fits this definition exactly. The standard engine is a 2.0L 4-cylinder making 155 horsepower. The top-of-the-line available engine is a 2.5L 4-cylinder making 185 horsepower. The standard 4-wheel independent suspension both allows optimal handling and increases ride comfort. The Mazda3 is one of the few vehicles in this class that has this sort of suspension setup, which is more often seen on high-end sports cars. If you want to take a fun test drive at one of the premier Laurel, MD car dealerships, take the Mazda3 out for a spin at Ourisman Mazda in Laurel today. The days in which an affordable compact car was totally bare of technology are long gone. The new Mazda3 is chock-full of exciting tech features. 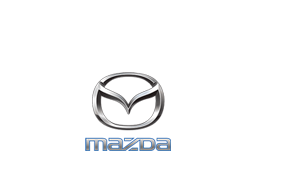 The standard Mazda CONNECT™ infotainment system gives you one easy-to-use hub for controlling your vehicle's entertainment and information functions. The standard 7-inch high-resolution touchscreen is an integral part of this infotainment system. So is the standard high-quality 6-speaker audio system! Music lovers will be delighted to hear the clarity and power at which the standard audio system can play their favorite songs. Check out the tech in the new Mazda3 by taking a test drive at Ourisman Mazda today.